Gremolata ? If you have never had gremolata then you are missing out on some spectacular flavor. 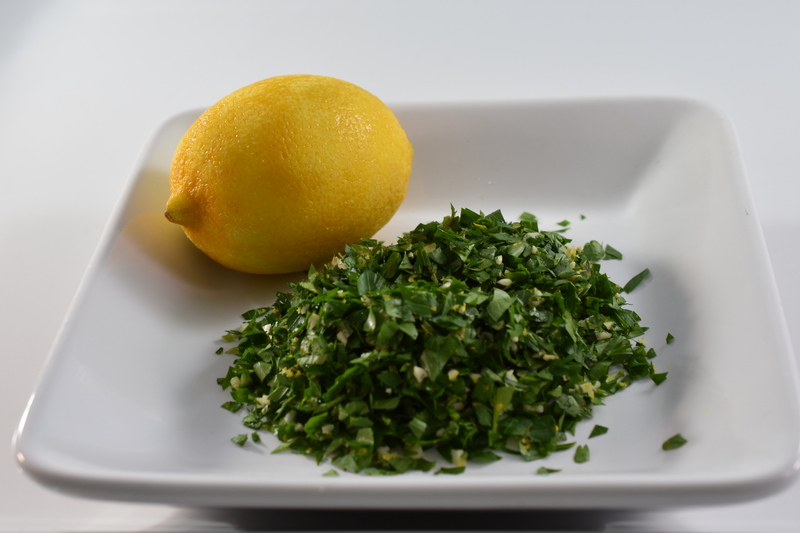 Gremolata is a great way to top a dish with freshness and flavor. I try to keep a container of this goodness in the refrigerator. I use it on salads, omelets, oven potatoes, and flat breads. As you can see it is extremely versatile and yummy. It is amazing that something so simple could punch up your dish to the next level. Only three ingredients, that is it. Combine all the ingredients. That is all you have to do. Now that is easy.